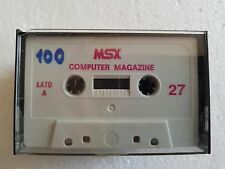 Home » Forum » MSX Talk » General discussion » "Disk offline" despite the drive working? "Disk offline" despite the drive working? Hello! I recently brought an MSX2! The particular model being a Philips VG-8235 (64k rom, 256k ram, 360k Disk Drive Capacity) and as such I have been lurking around these forums, hunting for info as I repaired the unit (Replaced the Floppy drive, repaired the exterior case) and I have got the unit working perfectly! I quickly realized that most of the Roms I have acquired lacked a Autoexc.bat file and as such wouldn't auto start at boot. So I attempted to load the files direct from disks post boot... But when ever I attempt to access any files I get the error "Disk offline". So what do I need to do to get my system to access files? I apologize if this is a super novice question or if I have posted it in the wrong board. I just can't seem to find a solution to this as all the guides I find refer to emulation opposed to real hardware. So I am rather stuck :-? Being -as you said- your computer equipped with a 360k disk drive, this means it is a single side drive so it can read only single side disks. you can't read 720k formatted (double side) disks. why do you use dive B format ? have replace the diskrom by a 8245 version ? The replacement Floppy drive is a generic Alps model, (Co DF354H(121G) Black 3.5" 1.44MB FDD Floppy Disk Drive) and I have been writing all of my disks to be single side due to the Limitations of the MSX2. But from the sounds of it I need to invest in a different type of Floppy disk other then the 3M IBM 1.44MB ones I am currently using? You should at least put some dark tape over the "HD hole" of your floppy disk. Did you try saving something to the floppy disk after formatting it? And loading it back? And use dcopy on the dosprompt of your pc to write 360KB images to your diskdrive. Disk Manager has bugs when it comes to that. Problem with dcopy is that it only works on WindowsXP. python sstods.py "Last Mission, The (1987)(Opera Soft)(ES).dsk"
You'll get a "Last Mission, The (1987)(Opera Soft)(ES)_720.dsk" file that you can write back to a floppy with DiskWrite (definitively do not use DiskManager). Even if the file is 720KB big, it is still single-sided (expanding it to 720KB only "tricks" the disk writer to work correctly). (this works on Windows 7 and my USB floppy drive). a) The drive select (A/B). This is basically a wiring problem. You can fix by changing the cable such that /DS0 signal from MSX activates /DS1 on floppy drive. For example if the floppy drive doesn't have a DS0/DS1 setting/jumper. But... luckily your drive does seem to have that. So another route is take out a soldering iron, and change DS1 to DS0 solder pad on the drive itself. See here for details. VG8235/00/02/19 have /RDY signal routed to the FDC (floppy controller). In this case you'd have to change wiring on the MSX's board (or on the connector) to hard-wire that signal as always-"Ready". Or see if you can pull that signal from the drive (which seems possible with this drive too, see above). Whereas VG8235/20/.../39 seem to not use the /RDY signal (like NMS8245), so nothing needs doing there. What model VG8235 you have? Fix is to change diskROM for another one (as said above). Usually this involves (someone who has) an EPROM programmer. And yeah, good advice to disable permanently the DD/HD sensor in the drive, such that drive electronics always sees "DD" no matter what type floppy you put in.